Something a little bit different today. Little more in the makeup world reminds me more of the summer I am determined to hold onto than an orange-y lip and glowing skin. 99(.9999...)% of the time, I'm all about the eyes (definition, liner, a lot of mascara..) but today I've swapped the focus to the lips, sporting an undefined, haphazardly-applied eye to keep it a bit throwaway. Base: To stop the lip clashing with any redness in my skin, I want something light but with a tad more coverage than the usual day look. I forever keep coming back to my Vitalumiere Aqua, Chanel really have done us proud with this foundation! Cheeks: This beautiful highlighting palette is pretty rosy so a sweep across my cheeks gives me a flushed glow plus some welcome sheen; it catches the light beautifully. It's still hard to believe that you can get your hands on this for under £10! Eyes: Because I'm going brighter and bolder on the lip, I'm underplaying the eyes somewhat. This Bourjois 24h cream shadow makes a great golden base, which is the perfect hue for a balmy evening. Just to top it off, on goes a little of the Chanel version in Fantasme which is a gorgeous 'topcoat'. The glitter in this is just sublime, it's so finely milled and magical it looks 'wet' even once it's set. Just the one coat of mascara and that's the eyes done. 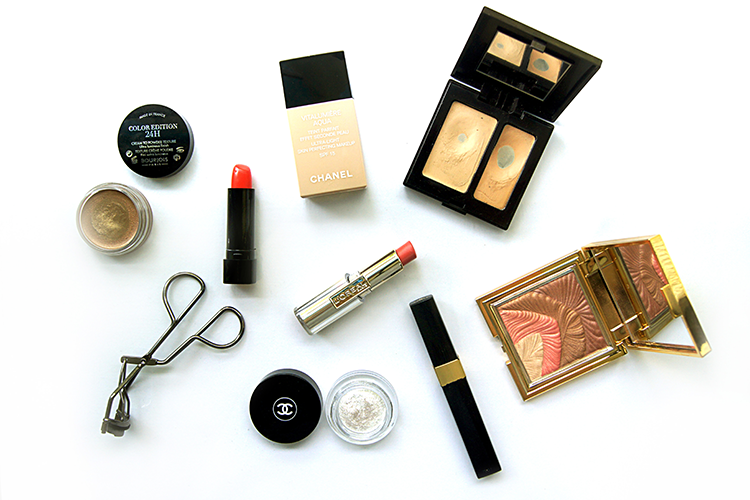 Lips: And here's where the look finally gets pulled together! 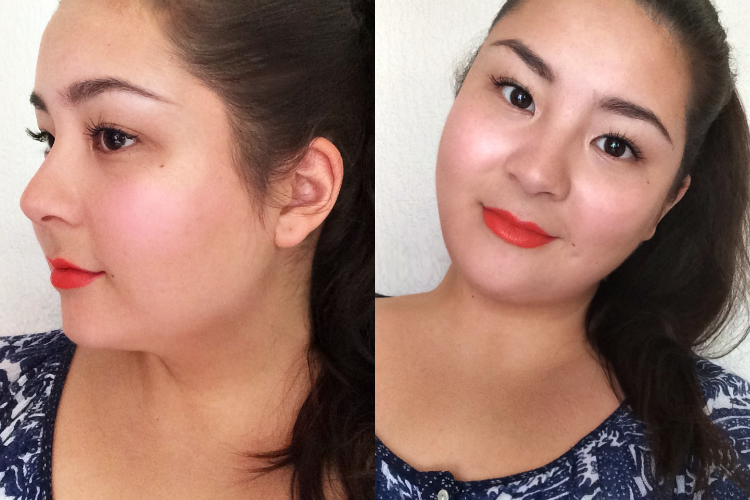 A tangerine lip is the epitome of summer, and a slight twist on a classic red. I go on with my L'Oreal Coral Dating as a base (You can pick it up on Feel Unique for £2.99!) then a tangerine lippie on top. (Mine, Tangerine by M&S, is sadly discontinued but there are plenty of affordable ones around. Et Voila! Bright lips, glowing skin and simple eyes. You look amazing! Love the lip color! L'Oreal is such a great brand and I've never tried any of their lipsticks!